Calcheck Charts are used by the Calcheck and Displays applications in Blackmagic and Veripress to colour verify printed output or displays for softproofing. 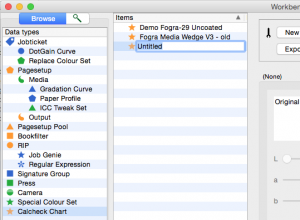 Create a new chart via the File menu > New option. Enter a name for the chart by typing in the highlighted “Untitled” name field. 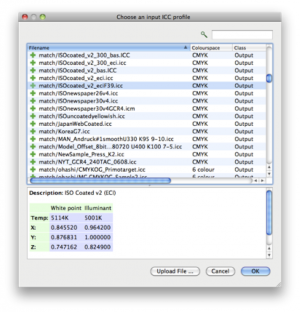 Follow this method if you have an ISO 12642/CGATS formatted file with defined verification chart values. (See below for Generating Patches from an ICC profile). 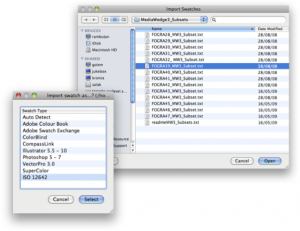 Click the Import Colours from Files button in the toolbar. Choose the format of the file (usually ISO 12642) to be imported and click Select. Choose the ∆E standard against which the Calcheck Chart will be compared from the ∆E Type dropdown menu. Set the ∆E Average, Maximum and Std Deviation tolerances for the chart. If either ∆H or ∆C are to be measured when calchecking, click the ∆H/∆C tabs, tick the Target checkbox and enter the values for those relevant. Select the same Press ICC profile as assigned as the Press Input Profile in your Jobticket (for printed proofs) or Press (for softproofing) from the Blackmagic/Veripress database. Click OK. If the ICC profile has not been used previously in Blackmagic/Veripress, select Upload File… and follow the prompts to locate, select and upload the ICC profile. 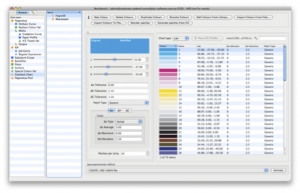 Choose CMYK from the Chart Type dropdown menu above the patch list panel. Once CMYK is selected the Press ICC Profile field will automatically be assigned with the default system Input CMYK Profile. If the default system ICC profile is not the same Press ICC profile assigned as the Press Input Profile in your Jobticket (for printed proofs) or Press (for softproofing), click the Press ICC Profile button and select the ICC profile from the list. Once the above steps are complete, follow the Import Patches from Files procedure (above). This entry was posted in Blackmagic, HowTo, Serendipity Client, Veripress, Workbench and tagged Version 6.0+. Bookmark the permalink.